Murder in multiple guises invades the six intimate stories of death in P.D. 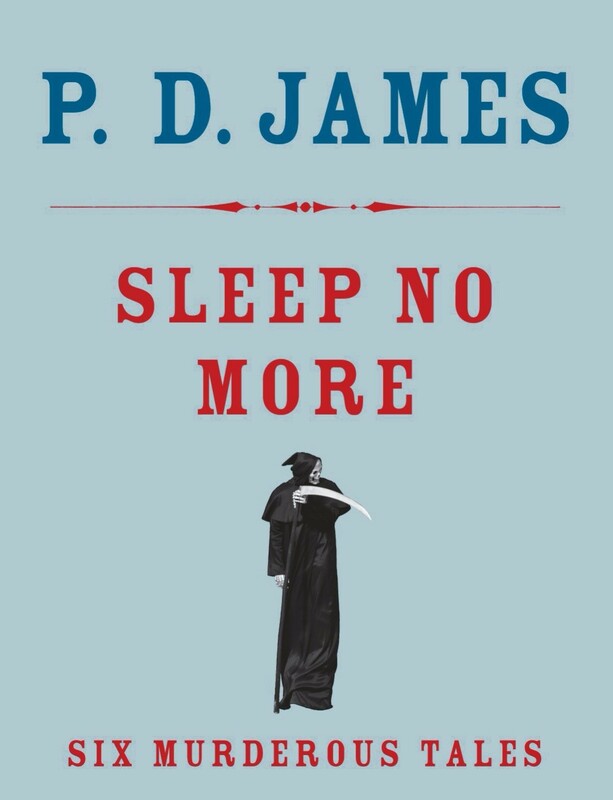 James’ Sleep No More, with emphasis not on the victims but the perpetrators and how they came to commit this ultimate act of violence. The psychological impetus, the how and why, is more important here than the traditional whodunit approach. Once again, James reinforces her place at the forefront of crime fiction with an uncanny ability to place the reader inside the machinations of a murder, particularly alongside those who may have witnessed the act. “Sleep no more” are simple words that struck fear into Macbeth and resonate with us still. Looking beyond the terrible effects a murder has on on the families of its victims, James explores the effects on those who commit or witness the crime. Her insightful characterizations reveal a writer at the height of her craft. Who better, for example, to make so mundane an object as a yo-yo an integral part of a story? In “The Yo-Yo,” a retired lawyer and judge, waiting for his daughter to pick him up for a family Christmas, rummages through boxes of memorabilia and finds a yo-yo that immediately transports him “to the same day sixty years ago, December 23rd 1936, the day of the murder.” He recalls one fateful night of his boyhood when he was being driven to his grandmother’s home by his headmaster’s chauffeur and Mr. Michaelmass, a brilliant but intensely disliked teacher that had been aptly nicknamed “Mike the Menace.” As night descends on the long drive, the chauffeur stops for “a call of nature.” The boy sees Michaelmass murdered but immediately agrees that “He slipped and fell over the cliff.” While a standard murder mystery cover-up, it is the manner in which James connects the facts, the setting, and the recollections so many years later that elevates this simple tale into such a singularly effective story. “The Girl Who Loved Graveyards” focuses on repressed memories and their sudden revelation. Three days after her tenth birthday, the protagonist moves in with her Aunt Gladys and Uncle Gordon in East London. They were her only living relatives after her father and grandmother fell to influenza. In an unloving house, her true memories of childhood begin when she walks to the window and sees the nearby cemetery for the first time. It was “luminous and mysterious in the early morning light… and over the serried rows of headstones lay a thin haze….” It became her shortcut to school, and she came to know the dead; they were “more real to her than the living.” Their lives and manners of death are revealed through the inscriptions on their tombstones and she learns all her favorites by memory. “The years in Alma Terrace slipped by, as bland and dull as her aunt’s blancmange, a sensation rather than a taste.” Nearly nothing is shared about her family; that her father is buried “up north” is the best she gets. She longs for the day when she is grown and has saved enough money to travel and find his gravesite. That day arrives with a cataclysmic recall of events related directly to the deaths of her grandmother and father, summed up in the story’s gripping final sentence. James captures her characters in succinct descriptions that provide an entry into their souls. A teacher “looked deceptively what we all thought he was—a middle-aged, disagreeable and not very happy pedant.” His wife had remarkable eyes, “an unusual grey-green, huge and slightly exophthalmic under the arched narrow eyebrows.” People gathered at a wedding include “smirking waiters in short white jackets, a couple of giggling bridesmaids from the store, their freckled arms bulging from pink taffeta sleeves, hearty male relatives, red-faced and with buttonholes of carnations and waving ferns….” Cleverly appropriate plot twists add to the sense of fictional reality that imbues each of the six stories in this collection with the grace and power of P. D. James, the “Queen of Crime,” at her best.